Readers of this blog will know I'm not too good when it comes to baking cakes. 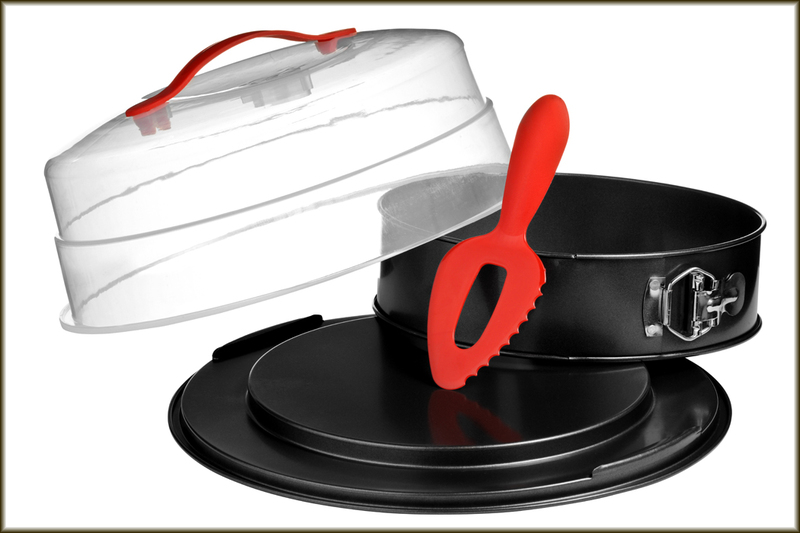 However, armed with the right equipment in the form of this Spring Form Cake, Slice and Carrier from Premier Housewares the whole thing was made much easier. 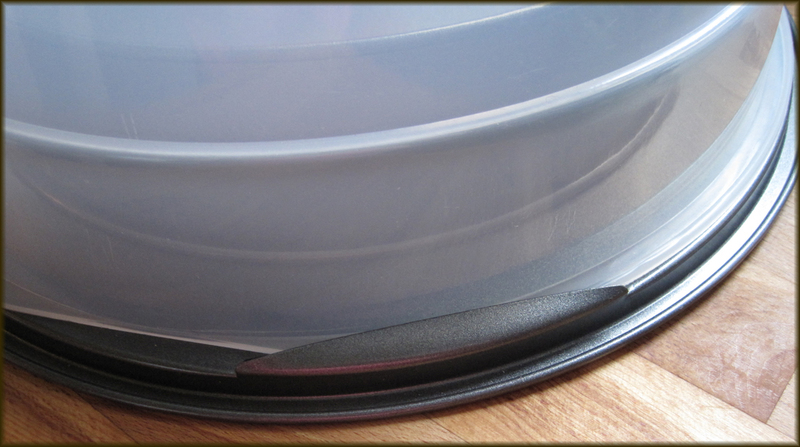 As you can see the cake tin is 'spring form' which means you can undo the clip at the side and your cake is easily removed from the tin after baking. It's a bit like tightening a belt to bake the cake and then undoing the belt to remove it - marvelous! 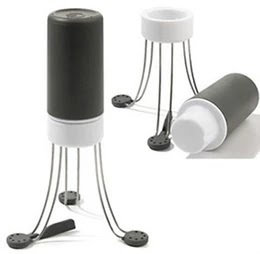 I found this so easy to use, all you do is line the base with greaseproof paper but there's no need to line the sides, just grease or flour the sides and it'll be fine. I must point out that the instructions on the packaging did not say you have to line the tin with greaseproof paper. Although this is probably obviously to anyone that is used to making cakes, I felt this should be included in the instructions just to help people like me! Anyway, having first checked with a friend I was informed that although it isn't necessary to line the bottom of the tin because the spring form will ensure the mixture doesn't leak out. Lining with greaseproof paper does help to guarantee non stick and people that bake tell me it's the thing to do when baking! When your cake emerges from the oven you can be sure it will not end up stuck in the tin because of the spring form, which can only be a good thing. It was really easy to clean afterwards - just wash in hot soapy water and rinse and dry. There's even a cake slice built into the lid too so you've got no chance of loosing it. Just bake your cake, then slice it and then store it. 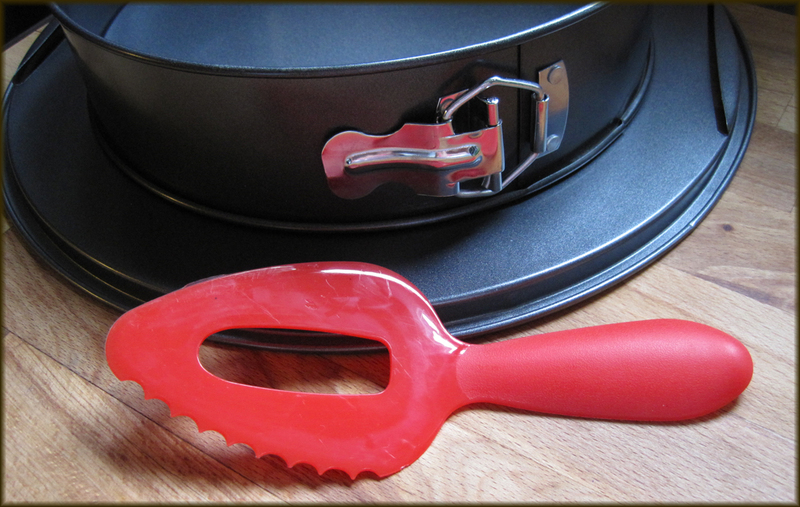 The plastic twist on lid keeps your cake nice and fresh, yep this is a fantastic piece of kit for any cake maker. The Cake and Slice is available over at Amazon and at the time of writing is just £24.90 with FREE delivery. Thank you to Pam for sending me this to review.